Are you a Spiritual Adventurer who is ready to take all of your Mystical Gifts to the next level and upgrade your Powers of Clarity, Creativity and Connection? ‘Power Up’ with me in the Mystical Redwoods and start accessing ALL of your Spiritual Resources now. Join me in the deepest heart of one of the most ancient forests on earth you’ll learn powerful Spiritual tools cultivated by some of the oldest Mystical cultures and learn how to put them to work in real time … and in real life. So, you have found your calling as a Spiritual Adventurer and have spent lots of time or money (or both) in expanding your understanding and knowledge. That’s awesome! But are you using your Spiritual practice and the gifts that come with it in meaningful ways that help you thrive? Do you know how to apply everything you have practiced so you can achieve your goals and dreams for the future? Not sure about what really works (or what is just fluff) or how to put it to work in your life. Not feeling 100% confident with how to access your Spiritual power. Wanting to take your Mystical practice to the next level, but aren’t sure how? Perhaps even questioning your choice to follow a Spiritual path, because you feel like you aren’t doing it right, or getting what it promised? Or, worst of all, you think there is something WRONG with YOU because you aren’t noticing any real change? I’ve been there … I’ve done that. But here’s what I know for sure, there is nothing wrong with you! The problem lies in what you have been taught. It’s not wrong per se, it’s just incomplete. And that’s where I come in. 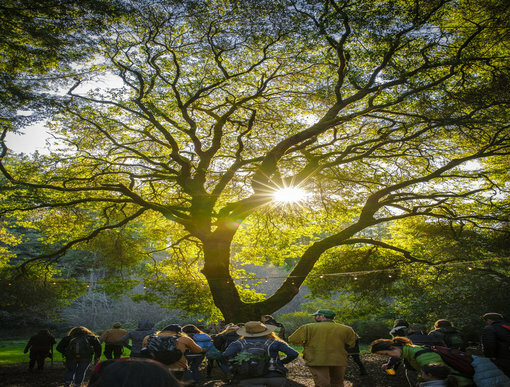 The Modern Mystics Redwoods retreat will provide you with powerful Spiritual and Personal guidance to help you break through your doubts and confusion and get your Spiritual power activated to serve your life in amazing ways. The wisdom and practices you discover over the course of these 5 days will set you on a powerful path that could save you years of trying to figure things out on your own. We only have space for 22 participants. It’s first come, first serve, so if you’re looking for clear and authentic guidance and are wanting to take your Spiritual gifts to the next level, so you can start ‘thriving’ instead of ‘surviving’, then apply now before all of the spaces are claimed. This is an amazing opportunity to learn authentic Spiritual principles and get your personal questions answered in real time by a Mystical expert. I’ll teach you the best practices that have helped me shape my career, become an internationally awarded artist and respected teacher who has coached people from all over the world. There is nothing like learning live and in person and being surrounded by a group of like minded people, dedicated to authentic Spiritual growth. Bring new energy into your goals for health, career, relationships and wealth. Experience yourself as a powerful Modern Mystic, become more comfortable in your abilities and knowledge, and release limitation and self-doubt. YOUR OUTCOME: Return to the world with more Wisdom, Power , Confidence and Clarity to achieve your goals and become the very best of yourself! Please click the link below to apply to join us. We will be in touch to set up a Discovery call to answer questions and make registration arrangements. Simone Wright, author, artist, entrepreneur and Modern Mystic , will be your guide and teacher for this unique and powerful retreat. 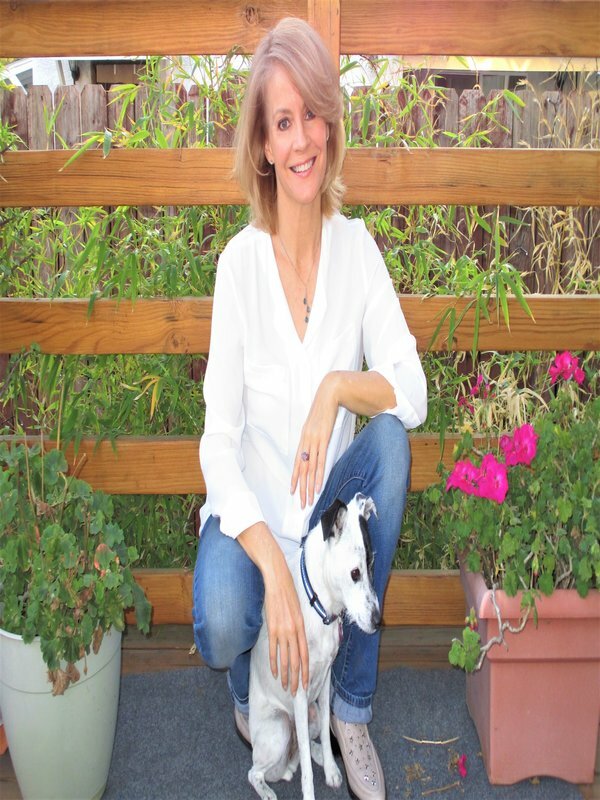 With her broad experiential knowledge of Esoteric, Mystical, Hermetic, and Alchemical disciplines and her ability to clearly articulate multi-faceted ideas, (in a fluff free and witty way), Simone leads you into the mystery of spiritual transformation so you can emerge into your life with greater peace, power, clarity and courage. As a teacher who ‘lives her teaching and walks her talk’ and has applied her Mystical knowledge to her own life on every level, Simone offers you unique and powerful tools to use in practical yet meaningful ways to refine every area of your life. A little bit of Magick, deep in the Heart of the Redwoods. So close and yet, worlds away… Simple and authentic amenities evoking a simpler time. The spectacular natural setting of Camp Navarro makes it one of the most unique Redwood locations in the world. … and we get it ALL to OURSELVES! 200+ Acres along the meandering North Fork of the Navarro River. Cabins, Lodge and camping among the towering Redwoods. 10,000 square foot Lodge on a river front meadow framed by ancient oaks and redwoods. Pristine settings from Redwood Groves and Riverfront Meadows to Oak studded grasslands. Safe and easy access from state highways. Classic Camp captivities including Archery, Rock Climbing, Lawn Games, and more. 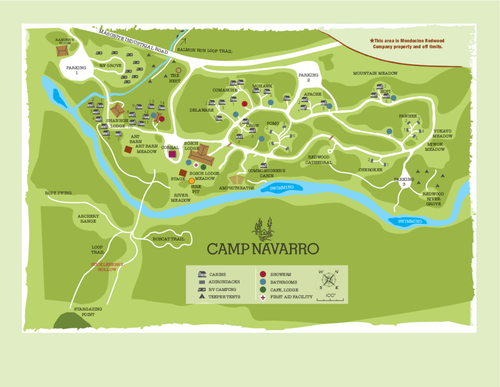 We believe that it is vitally important to protect and perpetuate the use of irreplaceable and historic recreational properties such as Camp Navarro… properties that are increasingly and unfortunately being lost forever. 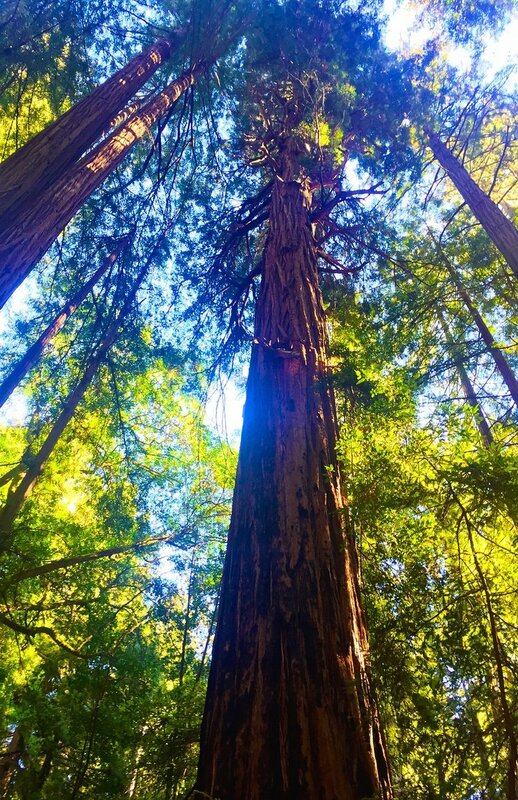 By so doing, we ensure the continued access and use of this property for generations to come… that future generations will continue to have the opportunity to experience the majesty of towering redwoods and learn about the worlds within and without. To give you a little taste of where we will be spending our time, here is a lovely video that reveals the beauty, adventure and Magick of Camp Navarro. we get the whole place to oursevles! With Simone’s encouragement and tools I have discovered a knowing and a wisdom within myself that I never thought possible. I have recognized the places where I can expand/become more, and what I no longer need or want to keep active in my life and awareness. With Simone by my side I have literally sat in the kingdom of heaven, I have brought forth all manner of powerful, loving ally’s to assist me in my journey and have witnessed synchronicites/magic that have left me with a knowing and a passion that fuels my quest to evolve higher and higher. I have studied with many Spiritual teachers, read widely and experimented with what I have been shown over decades. But the clean, pure way you present Spirituality and your care in creating our understanding of ‘why’ and ‘how’ has triggered knowing I remember I held when I was young but lost through my twenties. While all the other teachings I have delved into each provided important learning, it’s through Modern Mystics that I have found the profound link to all the wisdom I could always sense I held but not grasp. Like sociology it has opened my eyes to what I knew and allowed me to now understand it. I cannot thank you enough for your brilliant course. It has helped me to see things that I had not really understood about Alchemy. I now fully understand the alchemists’ injunction: “Visit the interior of the earth”. It has also helped me to understand the meaning of Salve et Coagula and bring elements of my shadow which are obstructing my creative work. I love the clarity and precision of your teaching and also your humour which is essential in a good teacher. Everything listed in the Highlights section above. What if I have to cancel after I book? All bookings and reservations are final. As mentioned before, this retreat is limited to a very small group of people and we have responsibilities to our location hosts and other vendors based on your registration. If you are concerned about not being able to attend after you register, we HIGHLY SUGGEST travel insurance to assure your peace of mind. If you are flying in from US or International destinations, we suggest you arrive at San Francisco International airport. We have arranged for a shuttle to take guests to the camp and return them to SFO on our last day. If you prefer to drive, please fill out the application to join us and we can discuss the directions. We are blessed to have 200 acres of the California Redwoods all to ourselves. 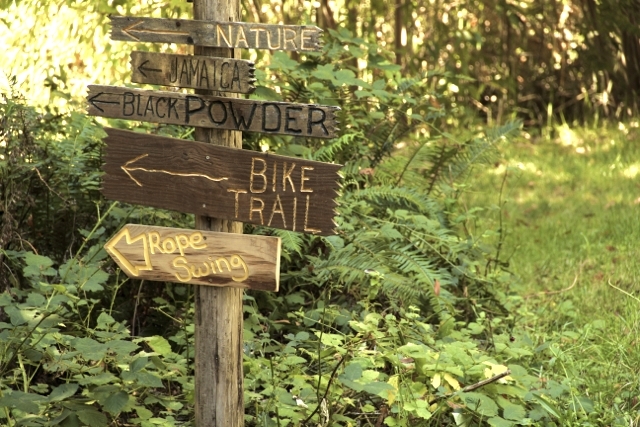 The lodging includes cozy cabins (single or double occupancy), fresh, organic meals and wonderful outdoor activities. We are curating this event to be sure that everyone who attends is a right fit for the learning and for the group. So you can expect the people to be self directed, empowered, motivated and gracious – as well as fun loving, playful and adventurous. If this sounds like a group of people you would like to be a part of, then we invite you to fill out the application below. Because we are curating this event to be sure that it is a perfect fit for everyone who attends, please click the “Join Here/ Apply Now’ button and fill out the short Questionaire. We will get in touch with you within 24 hours to arrange a ‘Discovery phone call’, where we can discuss your needs, answer your questions and discuss your plans. After the call, we will send you a payment link, based on Single or Double occupancy and you can Register and Pay via that link. If you want to use the PayPal 6 months to pay option, you can let us know when we have our call and those arrangements can be made for you. why do i have to apply? why can't I just register? My most important goal is that everyone who attends gets the BEST experience ever – and truth be told, this event might not be right for everyone. So to be sure I know ahead of time what your goals, needs and desires are for growth, the application process gives us the chance to connect and answer some important questions together. It’s not a test. It’s just a chance to be sure we are a good fit! I’ll look forward to meeting you. how can i get 6 months to pay? for REal? You can take up to 6 months to pay when you pay using Pay Pal credit. This is only open to US residents and you must qualify. When it’s time to make your payment, you will be sent a paypal invoice. When you pay that invoice, choose the Pay Pal Credit option and you can purchase your registration with a 6 month window to pay in full. Interest free. If you have any questions, just use the application forme to connect and we will contact you to discuss the options. JOIN US IN MARCH – BUT DON’T PAY UNTIL JULY WHEN YOU USE PAYPAL CREDIT. If you are interested in more details or to join us, please fill out the application by clicking the link below. We will connect with you to set up a phone meeting to answer your questions and set up your registration and payments. Thanks, we look forward to hearing from you.